Sacramento may have more lights and a sizable nightlife, but there are a number of spots in Citrus Heights that shine just as bright as those in the bigger city. 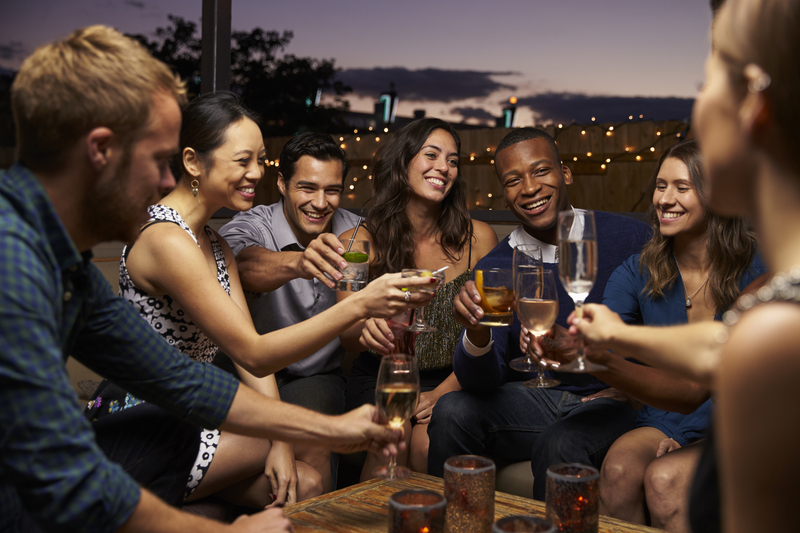 As a resident of the Montage Apartments, you’ll have plenty of choices in how you spend your evenings and late nights, but here are five of our favorite places we recommend. Ice cream at night? A most definite yes. You can’t go wrong with one of the best ice cream and desserts shops in the Sacramento area! For over 30 years, the Leatherby’s have served their famous homemade ice cream, along with homemade eats like milk shakes, banana splits, burgers, sandwiches, soups, salads, and more in generous portions. Another amazing (and terribly tempting) aspect of Leatherby’s is their hours: They are open until midnight on Friday and Saturday, and until 11 PM every other night. Late night eats have never been sweeter. If a quiet, relaxing evening is what you seek, then you might turn your attention to the Root of Happiness. Instead of alcohol, the featured drinks here include the kava root, which is known for its sedative, relaxing qualities. The potency of kava differs between each drink, like the Low Tide and High Tide, and the bartenders will walk you through the varieties. Generally, first-timers are advised to begin with lower concentrations of kava. Once you’ve found your groove, you can turn your attention to the live music, games, and casual conversation. Beyond the poker and blackjack tables lies one of the best restaurants in town. Sammy’s Restaurant & Bar offers a modern take on classic tavern fare, from pizza and sliders to duck tacos and other Asian-inspired items along with craft beers curated specifically to pair with the food. Happy hour is Monday through Friday from 4 to 6 PM, but the restaurant is open 24/7. Yes, you read that right. If you’re feeling lucky, hit up the Stones Gambling Hall, which is smoke-free, for a few card games. Voters for the Sacramento A-List ranked Corner Pocket Sports Bar the best 21 and over pool bar in the county and among the top bars. Along with league play for pool and darts, you’ll find foosball and ping pong, as well as live bands on Saturday nights and Sunday karaoke. If none of those activities are for you, there’s plenty of space to just grab drinks and chill with your friends during happy hour. Tenth Inning is a smaller neighborhood bar compared to Corner Pocket that doesn’t serve hard liquor, but don’t let that fool you into thinking there’s less to see here. The draft beer and bottle lineup is always changing and features both local and out-of-state breweries based on the season or what festivals are going on. The food here is headlined by the grilled cheese sandwich and pulled pork sliders, and there are plenty of activities like pool, darts, and corn hole to keep you occupied. You’ll never have a shortage of things to do in the evenings in Citrus Heights. The Montage Apartments are a convenient location to reach any of the above destinations! Call us today at (855) 371-3929 to check for vacancies and schedule a viewing of an apartment. You can also see the sizes and floor plans for our 1 and 2 bedroom apartments.